Have you ever been late for an appointment only to discover you can’t find your car keys? Panic sets in. Soon you’re frantically running around the house. You ask your spouse, “Have you seen my keys?” Patiently and slowly they raise their hand up with your keys. They were in the most obvious place possible. That happens with computer files too. Sometimes we lose track of a file we suddenly need. Not to worry though. You should know exactly how to find forgotten files with a little help from your friend–your computer. This is our Quick Tip Video Series. In each of these videos we’ll show you step-by-step how to perform configurations and customizations to save you time. You can focus on your trading instead of your trading computer. In this video we’ll show you how to search for files on your computer. Today’s video was recorded on Windows 7. 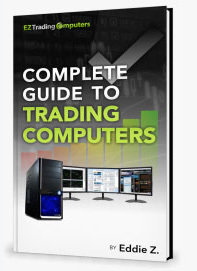 We recommend Windows 7 for traders (in a future video we’ll cover searching for files on Windows 8). Windows 7 is our preferred platform for trading computers. Left click on the start button in the lower left corner of the screen. After you click start a new box will come up (the Start Menu expands). In the lower left-hand side of the Start Menu you’ll find the Search Programs file box. Start out by typing the name of the file you’re looking for (Windows will suggest related files to you as you type). Hit enter after you’re done typing. Finding your files is just that simple! Using the search box located inside the Windows 7 Start Menu you’ll be able to find any files that you want on your computer. Granted, this is a very simple tip, but it’s a time-saving one. You may not have known about it. So the next time you’re looking to find that old spreadsheet, or last year’s tax document, or even your favorite photo, try the Start Menu search box. If ever you feel you’ve “lost your car keys” when it comes to computer files don’t panic. Start out by using the search function in the Start Menu rather than clicking through all your files and folders. Don’t run frantically around your house so to speak. Just use your computer’s search function. If you’re not sure where you saved a file, this is a stress-reducing tip.